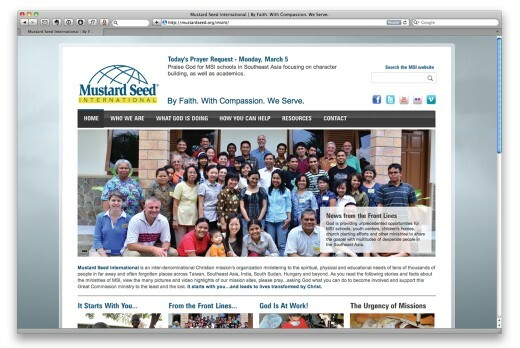 Mustard Seed International has been our friend and a client of Studio Seven for nearly a decade. We believe in the important international missions work that God is accomplishing through them. We completed this website in the Fall of 2011.